When it comes to an online casino game of skill, players swear that nothing quite beats the game of blackjack. Played with a deck of cards, online blackjack manages to combine both skill and luck to create a game that is fast-paced, exciting and rewarding. The number 21 plays a crucial part in the success of blackjack: Get a total of 21 on your dealt cards to win the game, but one step over could see you lose. 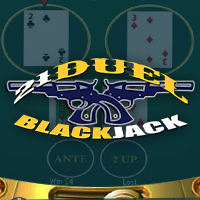 Online blackjack comes in multiple variants at Mansion Casino Canada and suits players at all skill levels. When the discovery of card games for entertainment purposes hit Europe in the Middle Ages, one of the first to grow in popularity was Chemin de Fer, or Vingt et un (21 in French). The objective of the game was very similar to what we know as Blackjack today, and was also the basis for other games similar in nature such as Trente-un (meaning 31) which was a popular Spanish version. Vingt et Un was a much sought after game in European casinos of the 1800's as well. As with many casino games found in Vegas gambling establishments today, Blackjack was brought to the shores of North America by European immigrants, who soon taught it to gamblers in American casinos and saloons. It was in one of these casinos that the name Blackjack was coined for the game. The ability to manipulate the odds of blackjack in their favor led many players to use strategies such as card counting, which became a popular method in the 1960s and onwards. Casinos soon banned this form of play, but players still learn strategies in order to improve their chances of winning. 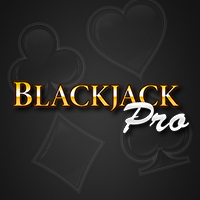 The latest step in blackjack's journey took place online, with the establishment of online casinos. Online blackjack is perhaps one of the most popular forms of play at top notch casinos, and software companies such as Playtech continue to develop new variants for ongoing entertainment. 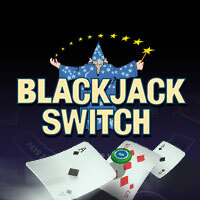 Unlike games such as slots whose outcome is dependent on chance alone, blackjack has an element of skill. This essentially means that practice of the game and learning its basic strategy could lead to an improvement of odds and a lowering of the House Edge. In layman's terms, this means that players have the ability to make more profit on the game as their knowledge and skill of blackjack improve. It is difficult to predict the exact odds of blackjack since this fact depends on many factors – what type of variant is being played by the player, how many decks of cards are being used, how skilled the player is and so forth. A casino could say that the House Edge is 4%, for example, meaning that for every $100 spent by players over a long period, they will take home $96 of that sum. However, it is not as clear cut as that – some players will make more and some will make less, depending on their level of skill and also the chance factor which also plays a part. It should be mentioned, however, that among all the casino games available, online blackjack has some of the best odds for players. In addition, the ability to manipulate those odds in your favor by learning the game's strategy and practicing using free online blackjack platforms, makes blackjack a very appealing game for players. Objective of Blackjack: The objective of the game is to land a hand value that is closer to the total of 21 than the dealer's hand. It is imperative not to go over the number 21. Players need to beat the dealer's hand in order to win. Card Values in Blackjack: It is easy to work out the value of the cards in blackjack. Those from 2 through to 9 have their own face value. The 10, Jack, Queen and King are all worth 10. The Ace can either be counted as 1 or 11. The suits of the cards have no meaning. Card Dealing: Online blackjack is played against the dealer, and the other players at the table are of no importance to the outcome of the game. In most variants of blackjack, the dealer deals two cards face down to the player, and deals two cards to himself – one card face down and the second face up. 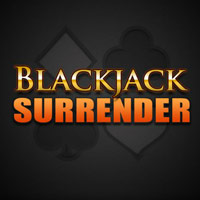 Creating a Blackjack: The ultimate hand to be dealt is a natural blackjack – ie. when your first two cards total exactly 21. This will comprise of an Ace and a card that is valued at 10. This results in an instant payout. Blackjack Game Choices: Players who are dealt cards that don't make up a natural blackjack have a few choices. The first is to surrender, which is considered the least common of the options. This affords players the chance to fold their hand, but forfeiting half their original wager. 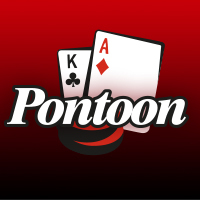 Hitting is to request that the dealer deliver another card, while standing is a request to stop any future dealing since the player is happy with the cards dealt. Players can choose to double down by doubling their original wager then receiving one (but no more than one) additional card. Players who are dealt a matching pair of hands can split their hand (split pairs) into two separate hands and play them independent. 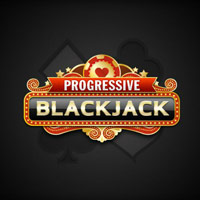 Blackjack Payout Rates: Payouts in blackjack differ from variant to variant, however in most standard games, the House will pay 3:2 on winning natural blackjacks, and 1:1 on all other types of wins. Know Your Limits: Knowing your limits in blackjack is more than just making sure that you have enough money to play. Sticking to a budge and having a time limit goes without saying, and does not just apply to blackjack. Knowing your limits, however, also means making sure that you are not playing at a blackjack table that has a gaming limit that is more than you can afford to spend. It is no use playing at a table that requires a minimum wager of $50 if you only have $100 to spend – your bankroll will be gone in no time. Play for Free: There really is a lot to be said for the free blackjack offered by leading online casinos. This is the ultimate way to put all that theory about blackjack strategy you have learned into practice, without risking your bankroll. Seasoned blackjack players swear by the method of honing their skills on the free gaming platform available to members of the site, and say that their confidence improves greatly this way. After that, it is just a short step to playing – and getting rewarded from – real money online blackjack. Learn the Basic Strategy: Blackjack is one of the few games in the world of gambling where you can actually improve your odds by learning a basic strategy. Learn the basic rules of the game, learn a strategy and improve on it by practicing. In no time at all, you will notice your odds improving. The more experienced you become, the better you will do and the more complex strategies you can master. Try Different Blackjack Variants: A good online casino will roll out a wide range of blackjack variants for you to choose from. Our tip is to try them all out to find those that suit you and your gaming and wagering preferences. Variety is definitely the spice of life when it come to casino games, and you can choose anything from standard blackjack to multi-hand blackjack. For the taste of a real casino floor, but sticking to the convenience of online gambling, players can try out Live Blackjack at leading sites. Blackjack is not a complicated game to learn, and there are a minimum number of buttons found on a typical online blackjack game. Some of them are explained below, but players should know that they will typically be able to click on the button to understand its purpose or, if still in doubt, to contact customer support and request an explanation – 24/7. Chips: Clicking on the blackjack chip will determine how much the player wishes to wager in the game, with each click increasing the value. Clear Bets: A type of 'reset' option which removes bets from the table and allows players to wager once more. Deal: A request for the dealer to commence dealing cards in the game. Double: A request to double the original wager and receive an additional card. Hit: A request to have a card dealt. New Game: To begin a new round of blackjack. Rebet: Stick to the same betting amount and deal again. Stand: A request to end the game by not having any more cards dealt. Bankroll: A set amount determined by the player to use to play blackjack. 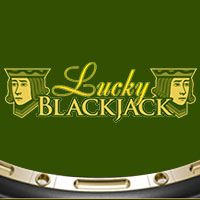 Bet: To wager on blackjack. Bet Max: The maximum number of coins required to play a game of blackjack. Bust: A hand that exceeds 21 and loses to the dealer. Dealer: The House employee whose job it is to take the bets and deal the cards. Double Down: An option given to players to double their original bet. Edge: The advantage that the House has over the player. Face Card: A Jack, Queen or King in blackjack. Hand: The cards dealt by ealer to the player. Hit: The player asks to have an additional card dealt. House: The casino or gambling establishment. Multiple Deck: Blackjack played with more than one deck of cards. Push: When the player and the dealer have cards worth an equal sum. Soft Total: A blackjack hand where the Ace's value is 11. In comparison to a Hard Total where the Ace is worth 1. Stand: Player chooses to end play by not receiving any more cards. Surrender: Players forfeit half their original bet for the 'right' to give up their hand. Players click 'Play for Real Money' after accessing the site. Click the 'Create Account' icon. Fill in the relevant fields presented on the page such as contact info and personal details. Read the Terms and Conditions listed and agree to them. Click the 'Create' button to open a Real Money Account. Transfer funds to the real money account using a wide range of user-friendly and safe banking methods supported by the online casino. Use the $5,000 Welcome Bonus to increase the value of the original deposit into the real money account.